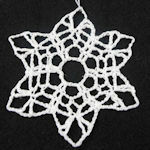 Starry Ball Ornament -- A free Crochet pattern from Julie A Bolduc. 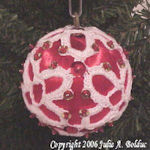 This ball ornament is made with 2 stars put together at the points as the last round is worked on the 2nd star. 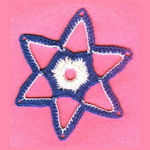 It is fun, easy and fast to make.